Moisture Evaluations This constitutes a visual site evaluation of the areas you suspect of mold or moisture. Using a moisture meter and infrared camera, the inspector can help identify active leaks or areas with the potential for water intrusion. We will provide recommendations on how to correct these high-risk areas and help you decide if mold sampling would be beneficial at this time. Air samples can be taken in each of your areas of concern. Laboratory analysis will indicate the types and amount of mold spores in the air if any. Swab samples can also be taken of visible growth on surfaces. 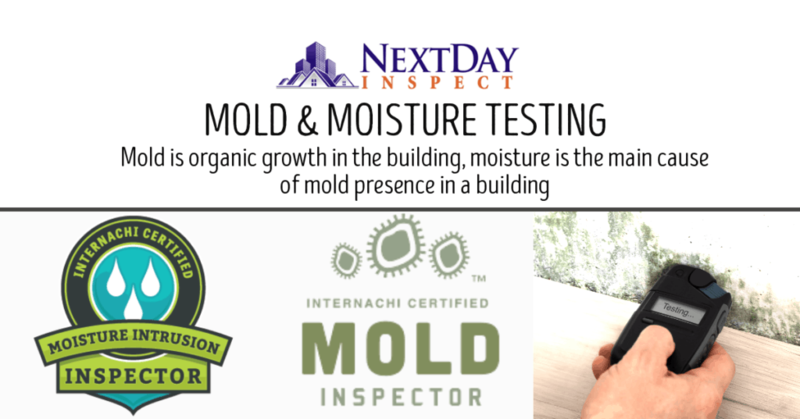 The lab results will confirm whether or not the growth is mold, and provide details on the specific type and amount.